Look at what I just put together in 5 minutes! 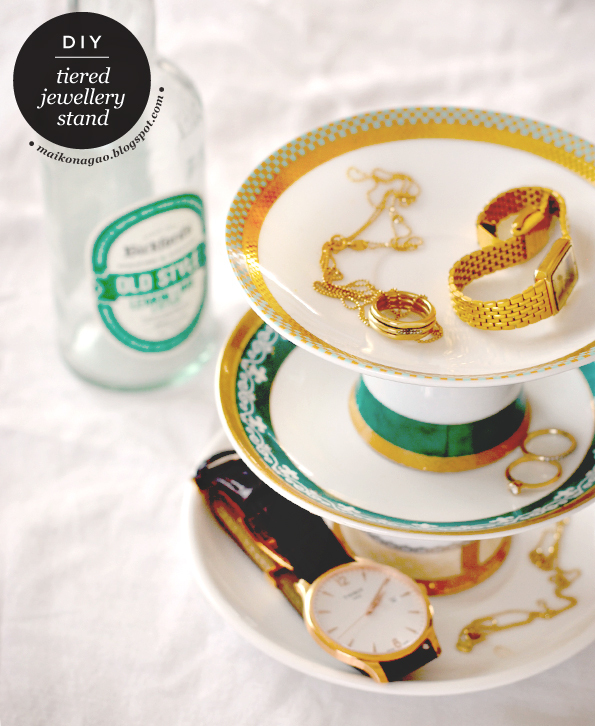 If you have some pretty vintage teacups or plates, you can make a gorgeous tiered jewellery stand! All you need to do is glue it all together. Could this be the easiest DIY yet?! It doesn't matter if the cups are different, it only adds to it! All images and design layouts are created solely for Maiko Nagao. Please give credit to anything that you use or reference. If at any time you see work that is inaccurately credited, please let me know and I will be sure to update. If you find an item of yours that you wish to be removed from this blog, just email me and I will do so asap. Thanks! © 2012 Maiko Nagao. All Rights Reserved.. Powered by Blogger.